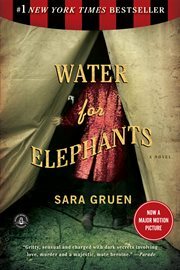 The item Water for elephants: : a novel, Sara Gruen, (electronic resource) represents a specific, individual, material embodiment of a distinct intellectual or artistic creation found in Austin Public Library. Book Sense Book of the Year Adult Fiction, 2007. Great Lakes Book Awards, Fiction category, 2007.